Paris Terror Attacks – We Better Wake Up! After 9/11 I was so very sad for the victims, their families and my country’s loss. Nearly 4 years later I started discussing a unique way I felt the “next” attack could come if we, the Hospitality Industry, didn’t wake up and prepare our staff for what has now occurred in Paris, France. As I received a push notification from a news source about the terror attacks in Paris, I logged in and started following the tragedy minute by minute for nearly 4 hours. Even now, as I change the channel to unwind, the sadness I felt during 9/11 was overwhelmed with anger. My anger comes from watching so many experts on CNN, Fox and other news outlets telling the world they feel this coordinated terror strike, hitting six separate targets was so very well planned by the terror group. They say the planning was so good that the plan itself, their idea and their communication was not detected by any governmental agency. So you better understand where my anger comes from, you have to know my background. I served 20 years as a San Diego Police Officer. Midway through my career, I started a private training and consulting company whose focus was on training and educating the security and management employees of bars, nightclubs, restaurants and other alcohol sales establishments., or specifically, the Hospitality Industry. The company has grown to be a nationally branded training and consulting company. One of the unique training sessions we’ve offered for 10 years now is our 90-minute course on Terrorism and the Hospitality Industry. In this section of our 10 and 16-hour training programs, we discuss basic information about who, what and why of terrorism along with discussions about the many past terror attacks against the Hospitality Industry around the world. So back to the news experts and their expert opinions of the Paris terror attacks as extremely well planned. You see, for 10 years in our Terrorism and the Hospitality Industry training sessions, to get doorman, bouncers, security hosts or whatever their called thinking about “what if”, I’ve posed the following potential attack scenario to students. A group of 10 homegrown or international terror suspects divide into five teams of two. Each group of terror suspects go to a busy bar or nightclub on a Friday night. Each group of two terror suspects, armed with 1-2 automatic weapons and ammunition approach the front door of the bar or club and start randomly firing while entering the bar to kill as many people as they can. We continue our discussion by asking the students what options they have should they find themselves stationed at the front door when the terror attack starts. All possible options are discussed from running away, shielding guests, cowering and attacking the terror suspects to try to subdue them. The option of injury or death is also discussed. Back to our television experts, two things stand out to me that they seem to miss. First, all the locations attacked were apart of the Hospitality Industry; a restaurant, a bar, a sports stadium and a live music venue. Next, none of the targets had any normal terror high profile points of interest. Next, all locations were extremely soft targets with little or no resistance. And, finally, all the targets had a ton of potential targets to kill. Second, given the targets were all hospitality targets, why does this sort of terror attack have to be hard to plan and be complicated? 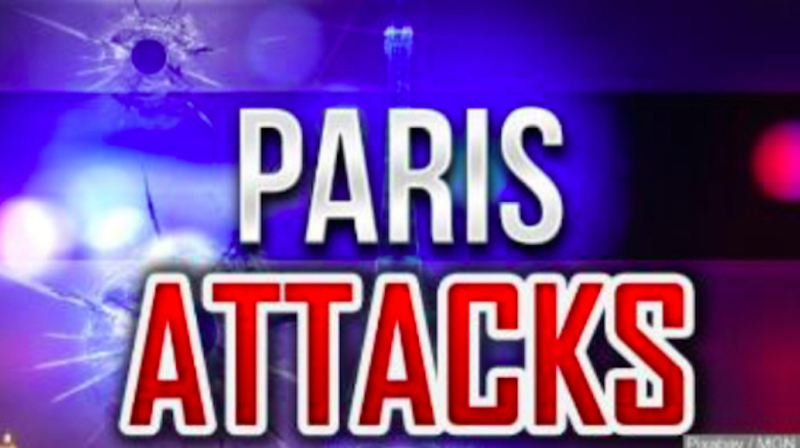 The simple answer is that the despicable attacks in Paris may not have any complicated parts at all. It may be that the terrorists met in an apartment, talked about how they could strike fear in the world, then, they simply acquired their weapons, selected targets with high kill possibility and that’s it. Folks, it sure seems to me that this type of attack was simple and could easily be duplicated by a real terrorist or a homegrown industry hater. If this is true, then we, the United States of America Hospitality Industry (bars, clubs, restaurants and other alcohol venues) MUST at least have an open discussion about this type of attack in our own back yard and try to prepare our staff for what they might do. Well, I’m not angry any longer. No, now I’m sad for the victims and their families in Paris, France.